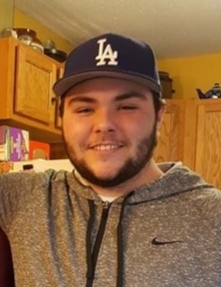 Southbridge - Quinn Alexander-Avery Paul, 22, left this life on March 24, 2019. He leaves behind his father, Christopher Paul, of Southbridge, MA; his mother, Tracy (Dressely) Paul and her fiance, Charlie Johnson, of Putnam, CT; his brother Caden Paul and his foster brother, John Vidal, both of Southbridge, MA. He is also survived by his maternal grandmother, Judy Dressely, of Hollister, CA; his paternal grandparents, Wilson and Louise (Avery) Paul, of Southbridge, MA; his closest friends, Diedra Lemay, and his lifelong friend, Andrew Rabbett; and many aunts, uncles, and cousins. Quinn was predeceased by his paternal great-grandparents, Albert and Irene (Lavallee) Avery; and his maternal grandfather, Robert Dressely. Quinn was born in Sarasota, FL on March 16, 1997. He attended Southbridge High School and Quinsigamond Community College. He was a loving, kind and caring young man who could change your mood with just a smile. He loved just being with his friends and family. He had a huge heart, loved animals, but most of all, Quinn was funny. No matter how he felt, Quinn would make sure you were laughing and happy. He protected his loved ones ferociously; we were all safe when we were with Quinn. It is said that the brightest stars shine for the shortest time. Quinn was the brightest star in the sky and he will be forever loved and missed. Because Quinn will be cremated, memorial calling hours will be Friday, March 29, 2019, from 5:30-7PM at Sansoucy Funeral Home, 40 Marcy Street, Southbridge, MA. A Celebration of Life for Quinn will be Saturday, March 30, 2019 from 10-11:30AM. The family asks you to kindly consider making memorial donations to either Second Chance Animal Shelter, 111 Young Road, East Brookfield, MA 01515; or Villalobos Rescue Center, PO Box 771127, New Orleans, LA 10117.